QuickTABS is a user-friendly, Microsoft Excel®-based analytics and reporting tool that provides instantaneous access of your data to all members of your organization. The tool does not require expertise, online access, IT support, or additional money for seat licenses. It is simple to use, portable, and unbreakable! Database customization: Great analytics start with data customization. The database must be segmented to align with how retail buyers view the category and how consumers purchase the category. TABS Analytics has re-engineered this process so it only takes weeks to implement. If you do not have data, we know what data you need, and we will take the lead in securing a cost-effective package of syndicated retail sales data. Simplicity, Flexibility and Accessibility: Because QuickTABS is based on Microsoft Excel, an existing, commonly used platform, the user interface and training is very simple. It allows users to start analyzing and drilling into your syndicated retail sales data within minutes from the time it is loaded on their machine. Also, because it is Excel based, the data and software is stored on users’ computers and no internet connection is needed to access the data. Analysis will not be hampered due to database outages or downtime. Distribution-based analytics: Our proprietary metrics and tools, such as sales momentum, sales decomposition and productivity will set your company apart from your competition. TABS Analytics' years of respected CPG expertise mean we understand what drivers are important to the retail buyers. Multiple classes of trade and time periods: QuickTABS incorporates data for all classes of trade and multiple time periods in one database. This enables users to switch quickly between multiple classes of trade and time periods for efficient analysis. New QuickTABS Release 3.5: includes new measures, smaller file size, easier navigation and reporting. QuickTABS allows your business to quickly navigate syndicated data, identify opportunities, risks to growth and key business drivers, as well as quickly respond to retailer requests and questions. The simplicity of the user interface, allows you to put more data into more users’ hands, making your entire organization smarter, more efficient, and more informed. 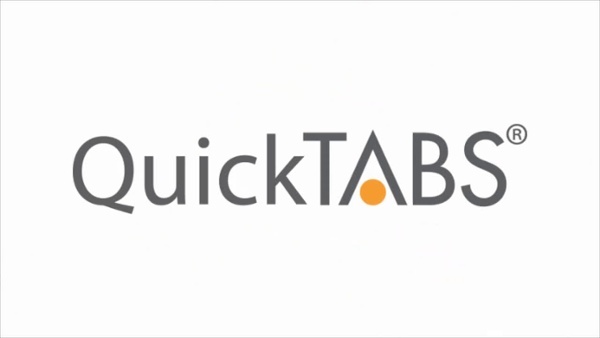 QuickTABS resides on your PC or Mac without requiring internet access, providing you with ultimate data portability. Similar software is developed for reporting and not analysis but we leverage the flexibility of Excel to provide the ultimate in analytic versatility. You can nest columns of data, easily filter out unnecessary data, and perform a host of other features not available in other industry software. QuickTABS is available for purchase on a monthly, quarterly, semi-annual or annual basis, depending on your analytical needs and budget. Additionally, depending on the complexity of the category, some companies are most comfortable starting with a Semi-Annual or Annual data run at a cost of $7,500 to $10,000 per run. After that, we can migrate to a monthly retainer relationship that fits within your particular budget and category management needs.